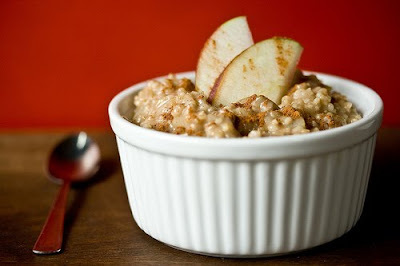 This week I wanted to put my homemade applesauce to use and was craving something new and different with my morning oatmeal-enter delicious apple infused oats! And now I'm a little obsessed. Though I suppose there are worse things to be obsessed with! Cook oatmeal as usual. Stir in applesauce and sprinkle the top with Apple pie spice and raw sugar. Enjoy! i've made this before but i think i used wayyyy too much applesauce...i'm not sure though. it was weird! Lol. your recipe sounds yummy though!